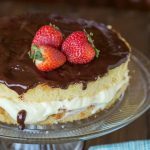 Boston Cream Pie Ice Box Cake – all the flavors of the infamous Boston Cream Pie in a quick and easy ice box cake. 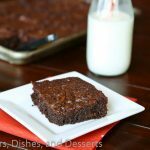 Great for those hot days when you don’t want to turn on the oven, or when you just don’t want to do all the work! My blog turned 5 years old yesterday!! I had no idea! I knew it was coming up, but couldn’t remember what day I actually started. Thanks to Facebook memories for pulling that up for me! Do you ever look at your Facebook Memories? I hardly ever do. Every once in awhile a friend will share one of theirs, and I will click to see what my memories are. Which is actually what happened yesterday. Usually when I check it is a picture I shared of my son when he was little, and it reminds me how old he is now. Actually kind of a fun way to look back and remember things. So let’s celebrate 5 years with cake! Summer is right around the corner, and with that comes the heat. Turning on the oven to bake something just doesn’t sound appealing in the summer. But who goes a whole summer with out desserts? That just doesn’t happen. 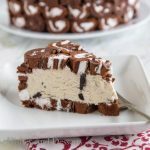 Which is were Ice Box Cakes and other no bake desserts come in. 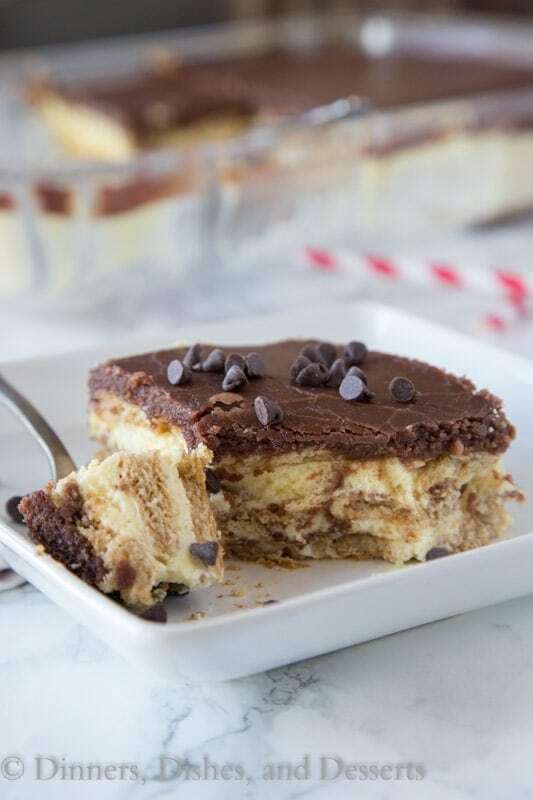 This Boston Cream Pie Ice Box Cake gives you all the flavors you want in Boston Cream Pie, but it is super easy to make, no oven required. 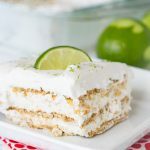 The graham crackers get soft as you let the “cake” set in the fridge, so they really taste like cake when you serve it. 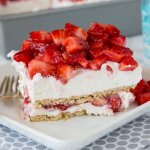 I made this Strawberry Ice Box Cake last summer, and I see many more versions in our future! 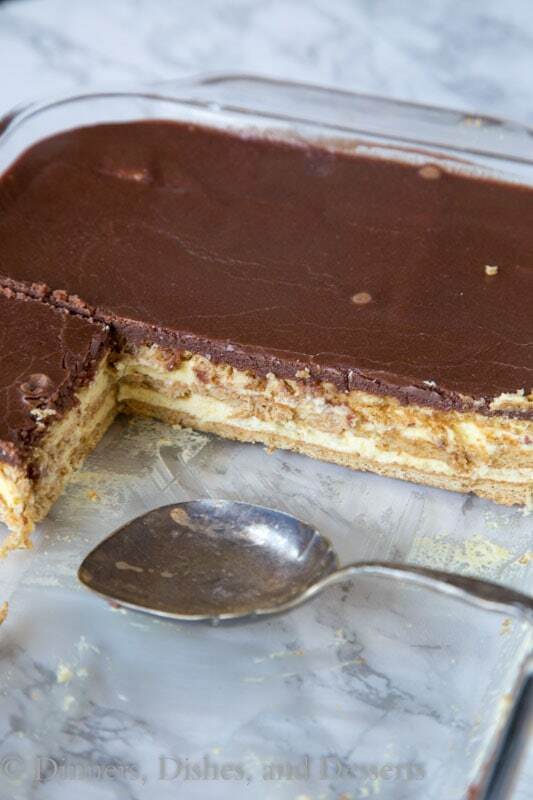 I made this Boston Cream Pie Ice Box Cake the other day when we had friends over. I had my 10 year old help me, and do most of the work to make this in the morning. I think we spent 10 minutes putting it together, and it was done. 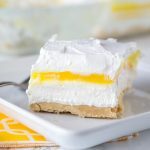 My 10 year old said it might be one of his favorite desserts ever! 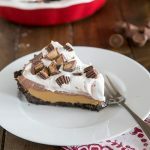 Our friends raved about it, and even my husband who doesn’t like chocolate loved this. 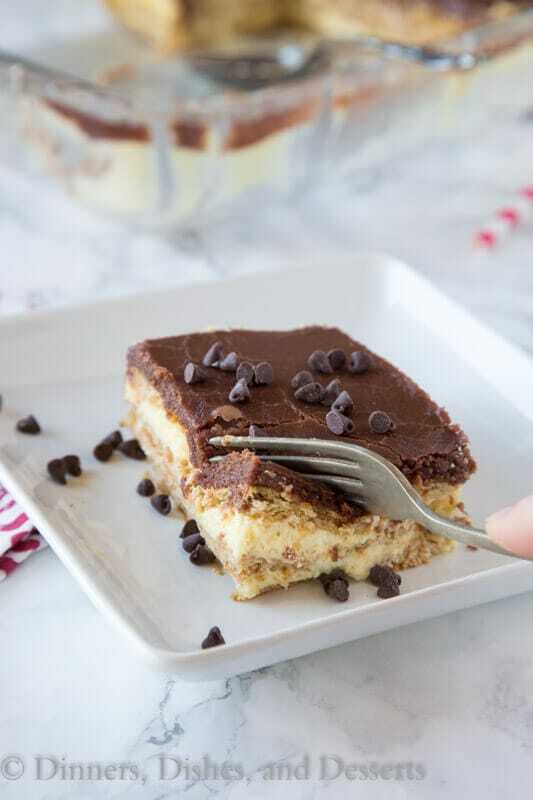 Boston cream pie ice box cake is definitely a crowd pleaser! 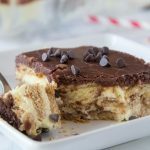 Boston Cream Pie Ice Box Cake - all the flavors of the infamous Boston Cream Pie in a quick and easy ice box cake. 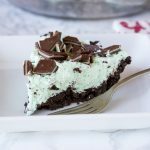 Great for those hot days when you don't want to turn on the oven, or when you just don't want to do all the work! Using a mixer, mix heavy cream until you have soft peaks. Add powdered sugar and vanilla, and mix until stiff peaks. Set aside. Line a 13x9 inch baking dish with a layer of graham crackers. Break then into squares or smaller to make them fit. In a large bowl mix together 2 boxes of pudding mix with 3 cups of milk. Whisk until well combined. 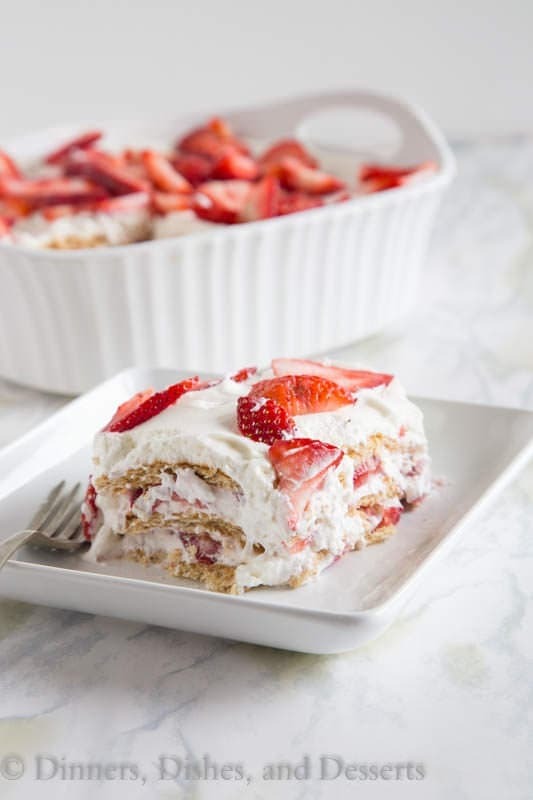 Fold in the prepared whipped cream. Pour 1/2 of pudding mixture over graham crackers. Repeat with another layer of crackers, and the remaining pudding. Top with a 3rd layer of graham crackers. Pour over graham crackers, spreading evenly. Place in fridge for 4-6 hours until chocolate is completely set. 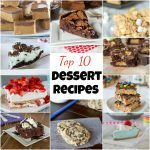 Want more No Bake Desserts? I would have to stay away from this cake otherwise I would eat it all in one sitting. It looks superb! This is definitely the cake that I couldn’t stop eating! So delicious with lots of flavors! 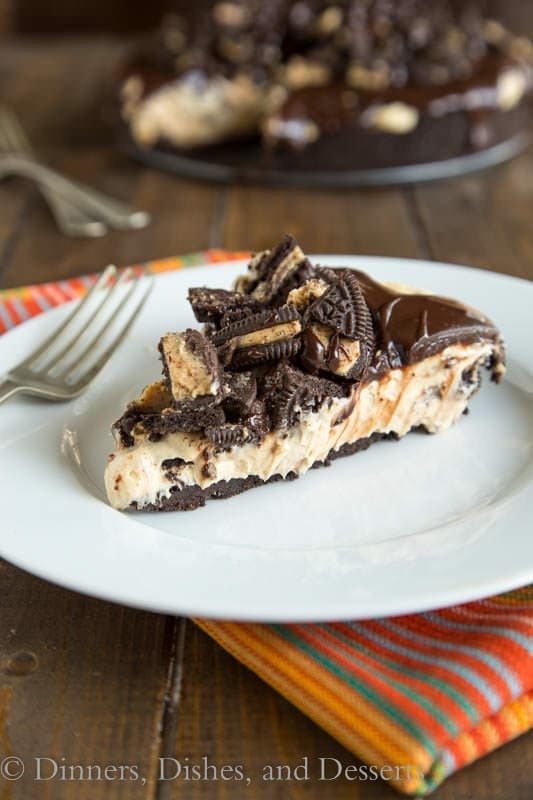 I have to say that this is something I wouldn’t be able to resist at least one slice! Great idea, Erin!!! Tha’ts one amazing cake, and congrats on 5 years of blogging! Happy blog anniversary! Love this cake – I’d take a slice or two! 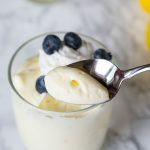 This is so simple to make! I love it! Happy 5th blogiversary. I’ve never had a Boston Cream Pie before… must be a UK thing. But with the weather warming up, this looks like the recipe to try. 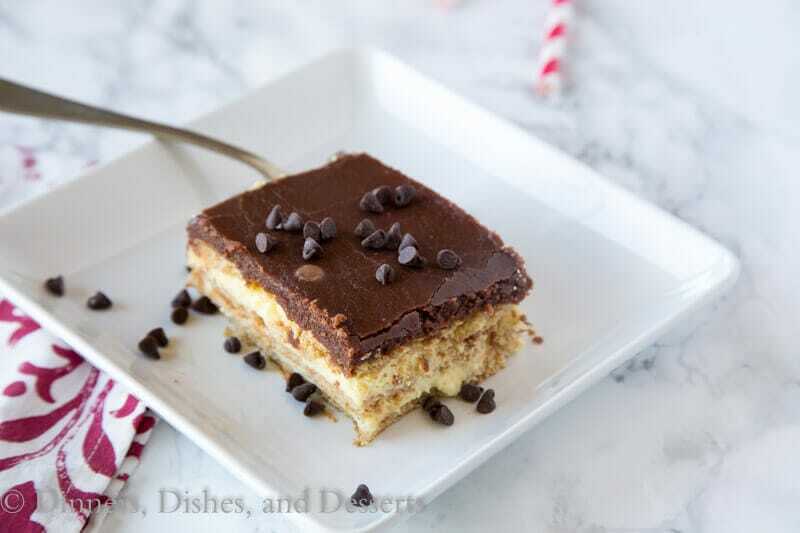 Oh my gosh this looks so good! 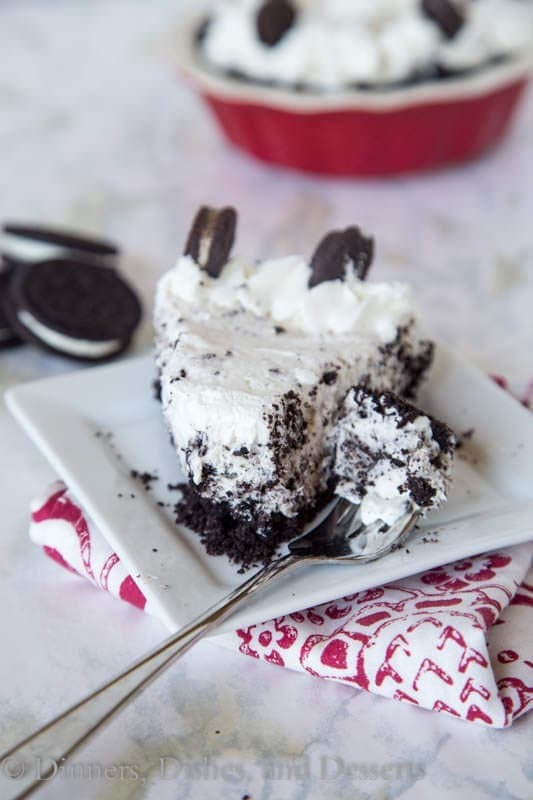 I am over here drooling over this cake right now. I am all over this. I can’t even stop starring. 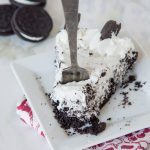 I would love a piece right now. I’m definitely going to give this ago as I love the flavor combination. 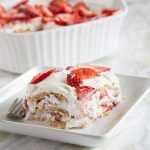 What a wonderful version of an icebox cake! My son loves everything Boston cream. Can’t wait to whip this up as a surprise this weekend! I am so making this this weekend! Happy 5th blogiversary!! This looks like the perfect way to celebrate! This is the good stuff, right here!